The attempt to understand the universe's seemingly endless mysteries is a great adventure that can provide one with fascination, frustration, and continual wonder and amazement. Planets, Stars, and Galaxies takes readers on an incredible full-color journey through the vast solar system. This engaging title tackles the questions students studying science are eager to know: How large is the universe? Is it infinite or finite? What is its structure? 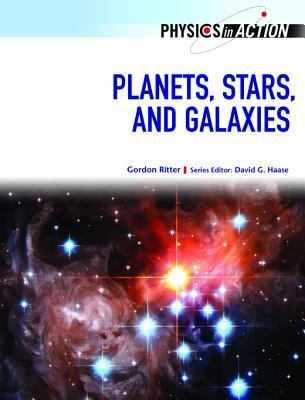 Is it possible to visit other worlds, and if so, what similarities might they bear to our own world?Ritter, Gordon is the author of 'Earth And Space ', published 2007 under ISBN 9780791089330 and ISBN 0791089339.